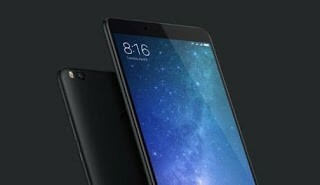 The upcoming Xiaomi Mi Max 3 got leaked and its photos, full specifications , features also got leaked ahead of the launch.There are reports of continuous leaks coming out of Xiaomi's upcoming phablet Mi Max 3. Xiaomi Mi Max 3 is expected to be launched on July 3. Now a picture of the smartphone in the latest leaks has leaked to China's microblogging website Weibo. The information has come up several times in the last few weeks regarding the device. A few days ago, I was seen at Max 3 China's Certification Website Tina. Tina's listing revealed the coming of three variants of the smartphone. These leaked photos reveal that the smartphone will have a 6.9 inch Full HD + Bezel-less display with an aspect ratio of 18: 9. The Snapdragon Octa-core processor, 6GB RAM and 128 GB inbuilt storage can be given in the phone. It's hoping to be the Snapdragon 710 processor in Max 3. It can be also launched Max 3 Pro with the Max 3. Talking about the software, it must come with Android 8.1 Oreo based MiUI 10 OS in Max 3 Pro. There are reports of having a 5400 mAh battery with Quick Charge 3.0 Soft to give power to the phone. Talking about the camera, both phones can have Sony's sensors. While Max 3 Pro will have a dual rear camera module and a 8-megapixel front camera. It will be come with a 12-megapixel single rear camera and a 5-megapixel front camera in Max 3. Xiaomi Max 3 can be launched in different variants depending on the RAM and storage. The phone may come in black and gold color. Xiaomi has recently launched the Redmi 6 Pro smartphone in China. Its price is about Rs 10,500. Redmi 6 Pro has a 5.84 inch Full HD + display (1080 × 2280 pixels) with an aspect ratio of 19: 9. The phone has a notch like iPhone X. Apart from this, features like AI Face Unlock, Portrait Mode and Voice Assistant have been provided in the handset. Also Read : ASUS ZenFone 5z Official launch Date in India confirmed! See full specifications, features & price ahead of the launch !